If there are two things I love in this world, it’s great fashion finds and a good deal. It is for this reason that I love (LOVE!) T.J. Maxx. Not only can I always pair together an outfit that makes me feel great, but the prices are unbeatable, leaving a little extra room to pick up some great items in the home goods section. T.J. Maxx recently hosted their Self-Expression Exhibit that inspired my inner Maxxinista with the hottest trends of the season. The spring must-haves are looking better than ever, featuring a variety of soft “sorbet” tones, lace, and dots and stripes. Always showing current fashions, it is such a fun experience to mix and match without the guilt of a steep price tag. Check out some of the deals currently available at T.J. Maxx below! 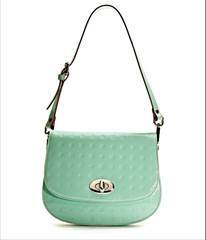 This beautiful sorbet purse is available for $99.99 (compare at $170). 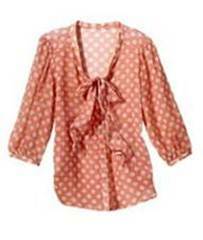 I love this hi-lo blouse, on sale for $24.99 (compare at $48). 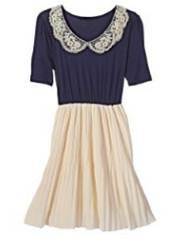 You could really play up this whimsical lace-collared dress for $24.99 (compare at $36). 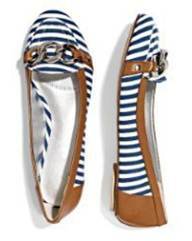 These navy and white striped flats are a must-have at $24.99 (compare at $48). 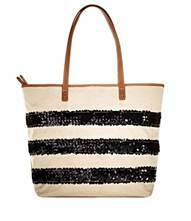 This super cute striped tote is just $39.99 (compare at $68). 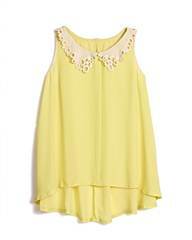 This dotted blouse is so versatile and fashion-forward at $12.99 (compare at $18). I just love how there is something for everyone at T.J. Maxx. Just this past Saturday, I went shopping at T.J. Maxx for a new work dress, and ended up with a great belted dress by Michael Kors, a ton of home goods (including a big chalkboard to hang in my kitchen, which is such a fun concept), hair products, a jacket and some new tops for my nine-year old, plush bath towels, and so much more. I was in total sticker shock too- the good kind. I spent just over $100 on all of these items combined, and I can’t help but think of how if this were a department store, I would have spent a fortune (and hours, if not days, living with guilt). 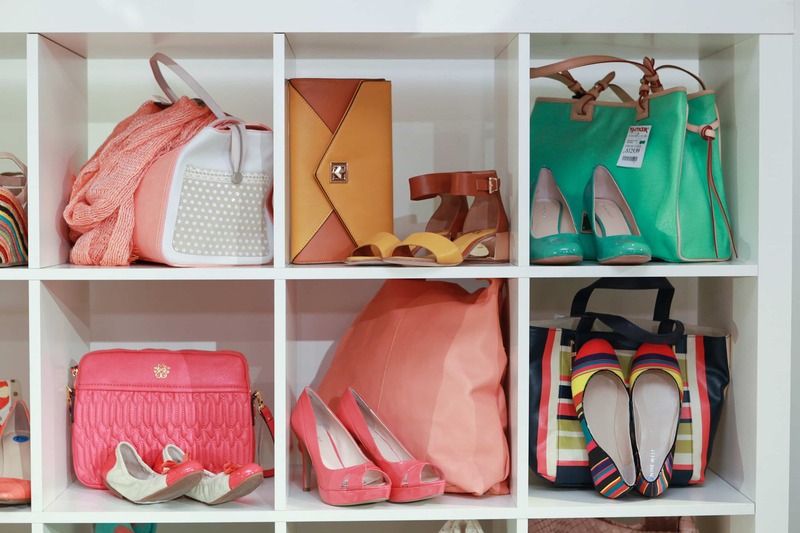 Thanks to the year-round sourcing of the hottest trends and name brands, every time I walk into T.J. Maxx I am able to invent my own personal style, as I pair up these great finds. 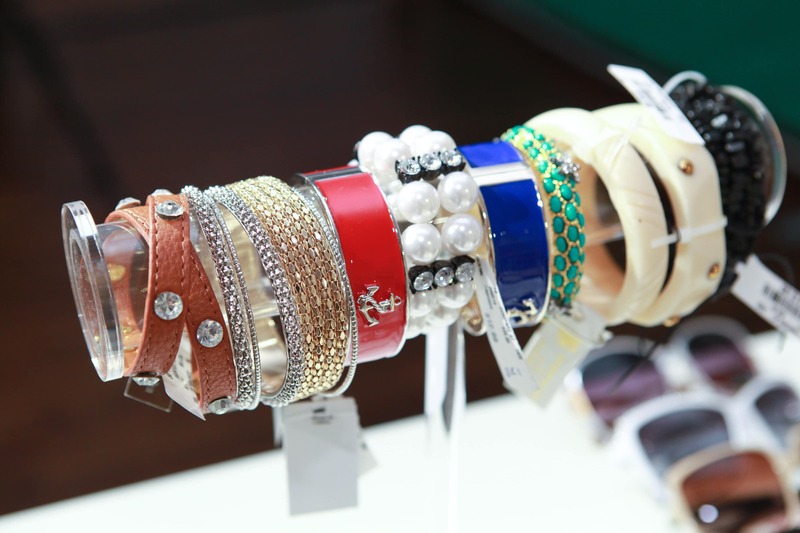 What is your favorite T.J. Maxx find of the season?